The Conference on Innovative Data Systems Research (CIDR) was started in 2002 by Michael Stonebraker, Jim Gray, and David DeWitt to provide the database community with a venue for presenting innovative data systems architectures, as well as a prestigious publication opportunity. CIDR is complementary in its mission to the mainstream database conferences like SIGMOD and VLDB, emphasizing the systems architecture perspective. CIDR gathers researchers and practitioners from both academia and industry to discuss the latest innovative and visionary ideas in the field. CIDR mainly encourages papers about innovative and risky data management system architecture ideas, systems-building experience and insight, resourceful experimental studies, provocative position statements. CIDR especially values innovation, experience-based insight, and vision. 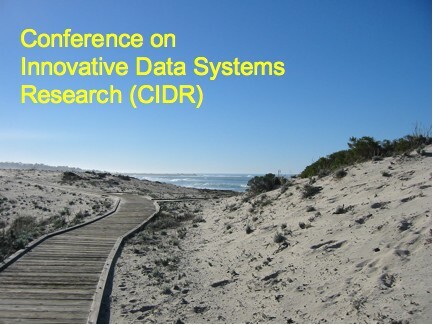 The first CIDR conference was first held at Asilomar in January 2003, and has been held every other January since then. The conference will be held for a tenth time January 12-15, 2020 in Amsterdam in Netherlands.